Augmentative and Assistive Communication (AAC) – Why is Switch Scanning So Important? Switch scanning is easy to set up. The tablet is simply placed in the position desired by the user and the switch is plugged into one of the two input ports. 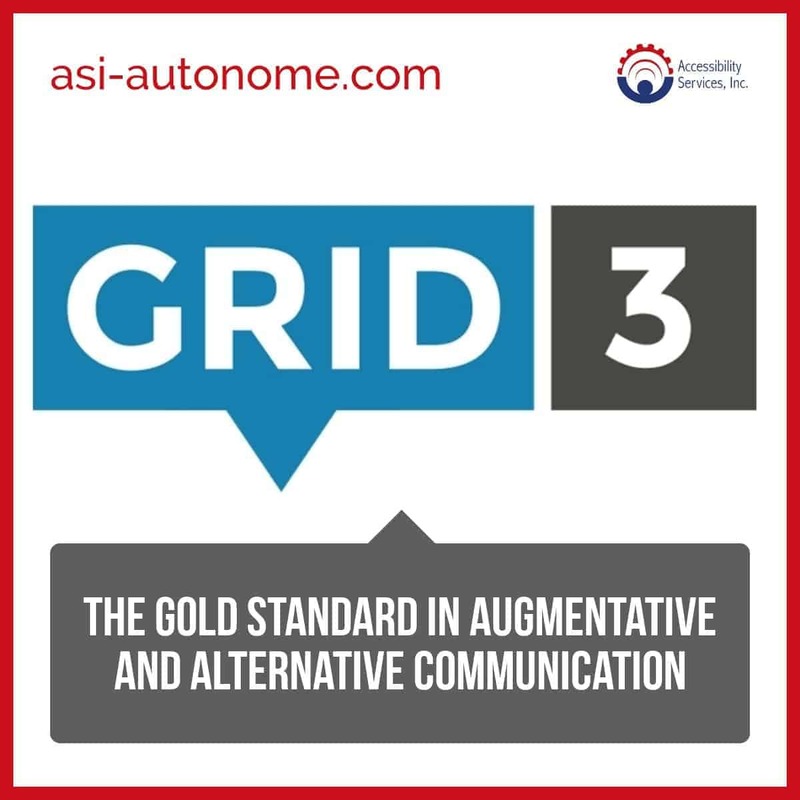 When it comes to scanning, the autonoME powered by Grid 3 software allows for a variety of options, including row column scanning and two-way elimination. Speed can be easily be increased or decreased. Cancel, reverse, and pre-programmed words are also possible. And, the autonoME’s multiple switch ports allow the user to better customize scanning. Contact ASI today for a complimentary consultation to learn more about the autonoME and its switch scanning options. https://accessibilityservices.com/wp-content/uploads/2018/08/grid-3-gold-standard.jpg 1200 1200 ASI /wp-content/uploads/2019/03/ASIProposedORIGINALColor-01-e1553790122688.png ASI2017-08-08 16:52:452018-08-08 13:26:24Augmentative and Assistive Communication (AAC) – Why is Switch Scanning So Important?